Welcome to Gun Lake Marina & Rentals! Where you can take advantage of almost 3,000 acres of pristine freshwater on beautiful Gun Lake. Entertaining all types of water enthusiasts, choose from an array of water craft from our fleet of clean and well maintained Pontoon Boats, Kayaks, Canoes, Paddle Boards or water tubes. We’re the perfect place for all your Southwest Michigan Boat Rental needs. Gun Lake Marina & Rentals sits on the south shore of Gun Lake, conveniently located between both Kalamazoo and Grand Rapids, Michigan. The area is surrounded by beautifully wooded State Land, with mountain biking and hiking trails plus great camping and picnic sites. Locally there are numerous golf courses, mini-golf, horseback riding stables and restaurants. At Gun Lake you can enjoy all these amenities plus everything the water has to offer boating, water skiing, tubing, swimming, fishing or just kicking back relaxing and soaking up the sun. Gun Lake Marina & Rentals takes pride in helping create a fun and memorable time for you and your family. We’re anchored into our customers satisfaction. 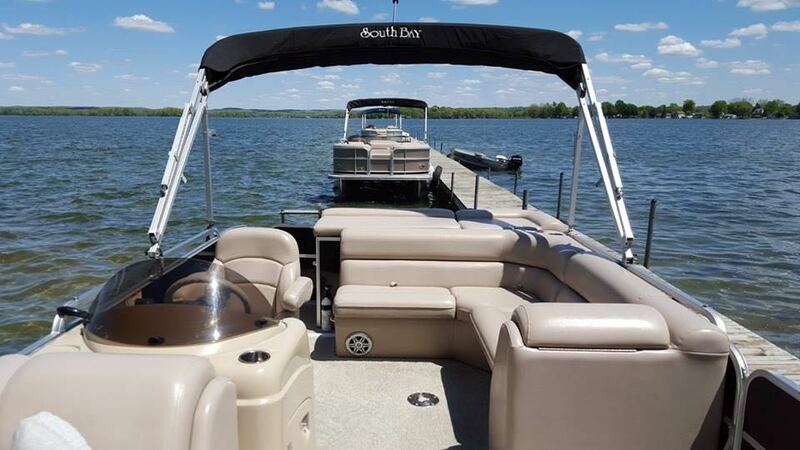 Our fleet of new pontoon boats available for rent are well maintained to ensure your time spent on beautiful Gun Lake is all about enjoyment and relaxation. We’re known for our dependable, high quality rentals. 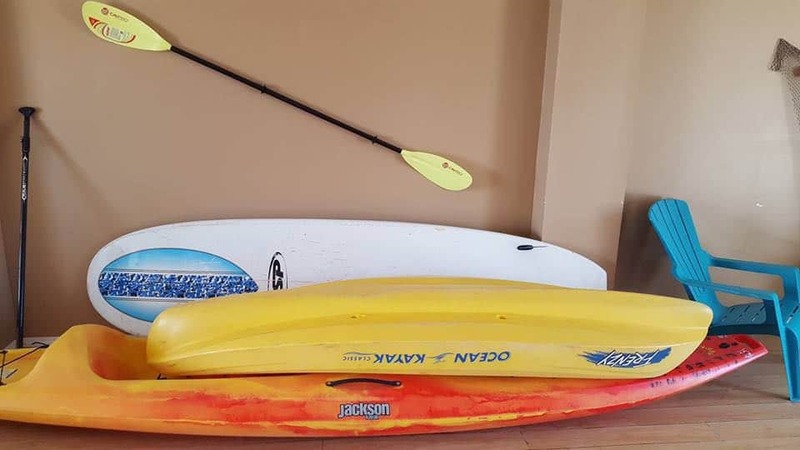 Get out and enjoy Gun Lake by renting one of our paddle boards, canoes or kayaks. Boat storage, boat shrink wrapping, winterizing boats, boat detailing, boat repair — we do it all! Contact us to learn more about what our service department has to offer boat owners. Why Choose Gun Lake Rentals? Abundant State land for camping with Yankee Springs Recreation Land surrounding the area. Great day trip: Make your Boat Rental Reservation then spend a day on the water. Gun Lake Marina & Rentals is located next to Gun Lake Park, an Allegan County Park with a sandy beach, picnic tables, grills and restrooms. Town & Country Supermarket, a full grocery store with deli, is located next door to the Marina, which makes snacks or meal planning for your day on the lake easy and convenient. 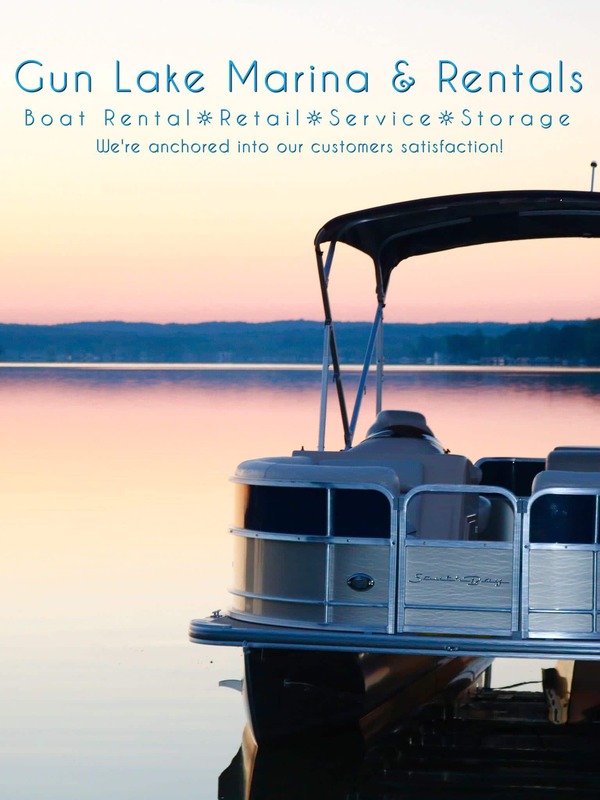 At Gun Lake Marina, we’re anchored into our customer’s satisfaction. We know that your day out on the water in one of our rentals is a day sought after and worked hard for. We want your experience with us to exceed your expectations. We have maintained great reviews from our customers with our outstanding personal and friendly customer service. At Gun Lake Marina & Rentals, we know that preparing your boat for the winter is just as important as keeping it running during the summer. That’s why our Service Department offers a wide range of services to properly prepare and store your boat for winter, so it’s ready for the beautiful summer days Gun Lake has to offer in season. Please feel free to contact us with any questions you have regarding the services we offer. Enjoy a day on Gun Lake with a Pontoon Boat Rental! Come here every summer. The boats are gorgeous and impecably clean. The staff are always pleasant and very helpful! We had a great experience using this company. Would definitely use them again if ever back in the area for a few days. The boat was brand new. Ran great and in perfect shape. No complaints at all. Staff is wonderful! We had a group of 7 and rented a pontoon for 4 hours. When we got there, they gave us a new boat to use. I have zero boat experience, the staff was very informative and helpful showing me how to operate boat. Good prices and good people. Would definitely recommend!